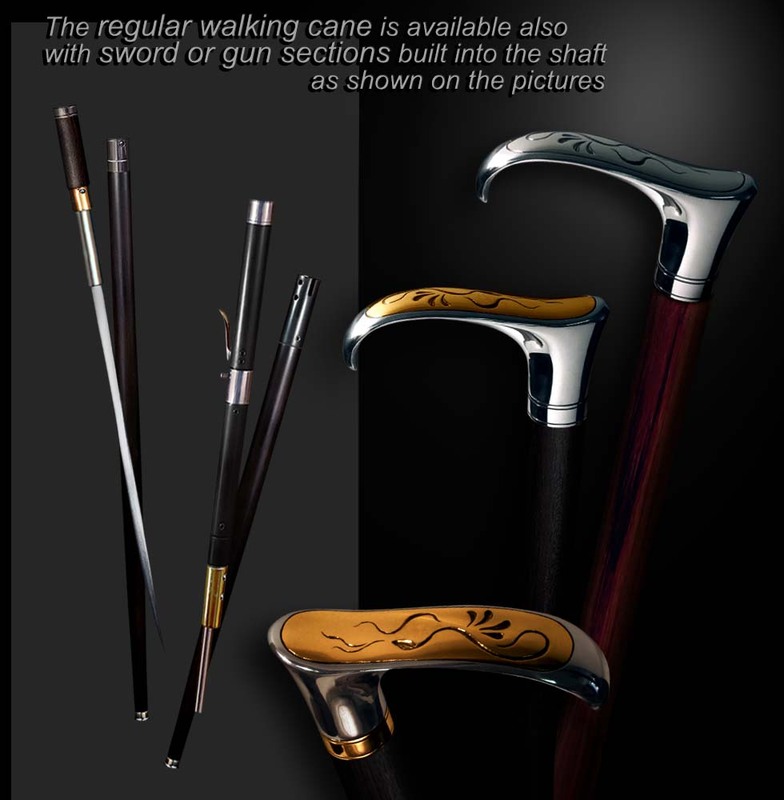 Custom walking cane handles are available with Silver or Golden bronze inlay. 1. Sterling silver (92.5%), approximately 4.5oz.